Shoujo manga—or manga produced for girls—is often dismissed by casual readers as manga brimming with stereotypes. In fact, oftentimes shoujo stories are not taken seriously solely because they are aimed at young girls. Despite the popularity of serious manga like Fruits Basket and Boys Over Flowers, there is a common misconception that all these stories are substance-less no matter the genre, because so many of them deal with the same tropes. Numerous series feature representations of first love, love triangles, broken heroes, and innocent protagonists. Though the plots may differ, potential readers overlook shoujo manga as “formulaic,” assuming that every story and character is interchangeable. 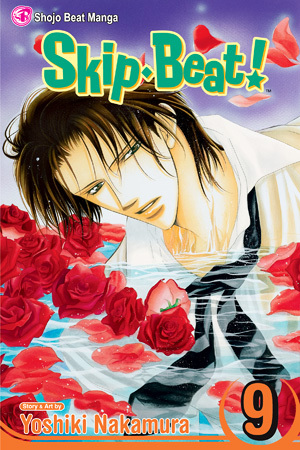 Although several shoujo manga twist some of these tropes or defy them entirely, the shoujo series that subverts every single one is Nakamura Yoshiki’s ongoing manga Skip Beat! (Hana to Yume, 2002; Shojo Beat, Viz Media, 2006). The female protagonist of most shoujo manga is clueless and naive, someone who is incredibly kind and innocent, but not the most intelligent or talented. Her friendliness and gentle demeanor are her main characterizations, and she is viewed as someone delicate, someone who must be protected at all costs. On the contrary, female characters who are bolder and more violent are considered “less desirable,” and these characters are rarely the female lead. 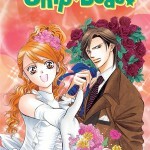 Although characters like Tsukushi Makino (Boys Over Flowers) have popularly defied this trope, Skip Beat!’s Mogami Kyoko adapts this characterization and defies it all at once. Nakamura introduces Kyoko as a sixteen-year-old girl who dreams of first love and is willing to go to any length for her childhood friend Fuwa Sho, a young musician quickly rising in fame. Kyoko appears delicate in stature, naively trusts people right away, and idealizes fairytales—a stereotypical “clueless, innocent girl.” While Kyoko never entirely sheds this image—her trust in people and belief in fairies is intact from Act 1 to Act 226—readers quickly realize that she is far more perceptive, intelligent, and stronger than they initially assumed. In the very first chapter, when Sho insults Kyoko and finally reveals that he’s been using her all along, instead of crying or breaking down, Kyoko is angry—at herself for being blind and at him for his cruel words. Sho expects her to be weak, and instead, Kyoko laughs at him and vows revenge, promising that somehow, despite the fact that she has no interest in the entertainment industry, she will become more powerful and influential than him. Kyoko is committed to every project she starts, and she works hard. She is constantly working toward improvement, and her perfectionist attitude extends from her job to her cooking to her schoolwork. She is probably the most book-smart character in the entire series. Although she adores fairytale stories, Nakamura often portrays Kyoko with “negative spirits” (called “grudges”) that keep her cautious. She is kind, but wary, and her grudges are cynical and perceptive, dark spirits that entered her heart after Sho broke it. When LME’s talent manager, Sawara, denied Kyoko’s request to join the agency, her grudges were depicted haunting the man until he agreed to allow her to audition. 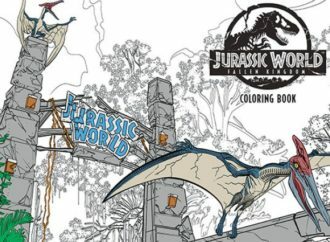 At times she is violent and spirited, throwing darts at the Sho poster hanging on her wall or creating perfectly proportioned voodoo dolls of him to curse. While she remains kindhearted and adorable throughout the series, it is this fierceness and occasionally downright terrifying demeanor that allows her to be chosen for villain roles in nearly all of her acting projects. Still, she dreams of one day earning a princess role. Shoujo manga that starts with revenge generally focus on little else. Manga like Special A and Kare Kano involve characters with deep-seated rivalries, and these rivalries become the center of the story. Whether competitive academically or athletically, the characters are usually competitive until the end, even when the rivalry leads to love. 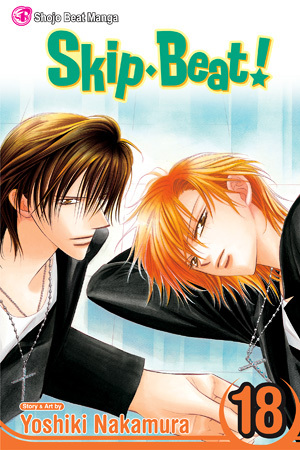 Skip Beat!, on the other hand, introduces revenge as a starting point for the protagonist’s personal journey. Instead of becoming a major plot point, Kyoko’s vow for vengeance initiates her desire to search for her own greater purpose in life, and contrary to the stereotype, this purpose isn’t to prevail over Sho. Although Kyoko spends the first few chapters anxious to bring Sho to his knees, when she meets other entertainers and experiences acting herself, she discovers a passion she didn’t know she had. Quickly, learning how to act, developing her craft, and taking on new roles become less about Sho and more about herself, and soon, Kyoko and her story have little to do with Sho (or revenge) at all. Brooding heroes seem to be a trend in all genres, and in shoujo manga, the brooding hero is often the male lead with a troubled backstory and a stoic personality. And of course, such demons are used as an excuse for him to treat others, especially the female protagonist, horribly. Skip Beat!’s “brooding hero” is Tsuruga Ren, who—unlike most troubled heroes—endures his past silently. Ren spends most of the series pretending to be okay, hiding a past of depression, grief, and violence. He never means to tell Kyoko or anyone else about it, and the only time that he treats her rudely is in the beginning, when he finds it personally insulting that the only reason she desired to enter show business was to seek revenge. His past ends up being his own trial to overcome, and although Kyoko helps him get beyond it, it is unknowingly. She never truly knows what he is enduring or that she is inspiring him at all. A greater concern in Skip Beat! is Mogami Kyoko who is the broken, main heroine with her own “mysterious, dark, and troubled past.” Skip Beat! starts with Kyoko working three jobs to support Fuwa Sho’s luxurious lifestyle. He asked her to run away from Kyoto to Tokyo, and she, at the age of fifteen, decides to accompany him so that she can take care of him as he works to achieve his dreams. Unlike Ren, who has two parents who adore him but still needed to escape home to deal with his grief and depression, Kyoko has been on her own since she was six years old. She has never known her father, and her mother abandoned her in Kyoto, leaving her neighbors—Fuwa Sho’s family—to raise her. Every memory Kyoko has of her mother is emotionally abusive, and every memory she has of the Fuwas is distant and cold. It isn’t until she joins LME that she ever hears another person (her new friends, landlords, and colleagues) tell her they love her. While Kyoko insists that her mother would not want anything to do with her, for the most part, where her mother has been and why she abandoned Kyoko is more of a mystery than anything in Tsuruga Ren’s past. Only recently has Skip Beat! even begun to explore such questions. Popularized by series like Boys Over Flowers, Gakuen Alice, Vampire Knight, and Ao Haru Ride, it is a joke among shoujo readers that if a story includes a love triangle of any kind, two of those characters will be male—one with darker hair and another with lighter hair—and the female character will usually choose the dark-haired character in the end. In fact, for most of the series, Kyoko’s biggest struggle with love isn’t about making any choice between Ren or Sho, but with the emotion itself. She must admit to herself that her feelings for Tsuruga Ren have grown beyond respect and admiration. Rather than confessing to him, she intends to bury the emotion inside of her, unaware that he had fallen for her at least one hundred chapters before she realized her own feelings. Since there is no doubt that Kyoko and Ren are “endgame,” Skip Beat! seems to follow the shoujo pattern of the protagonist falling in love with the brunette over the blond. However, even though Kyoko is oblivious, Tsuruga Ren is actually a natural blond masquerading as a brunette, pretending to be a full-blooded Japanese citizen when he is actually only 25% ethnically Japanese and hails from the United States. While most shoujo manga are about romance (unrequited love, love/hate, first love, and first kiss) Skip Beat! is about love in a more general sense: self-love, parental love, and platonic friendships. Romance is featured to some extent—Ren falls in love with Kyoko around Chapter 80, and Kyoko falls in love with him around Chapter 190—but Skip Beat!’s focus is on Kyoko realizing that she is lovable and that love is not merely a weakness. When Kyoko joins LME, instead of allowing her to become a full-time actress, the president creates a special department for her: the Love Me Section. A strong believer in love, he feels that her aversion to the emotion would hinder her as an actress because she would never be able to understand even the affections entertainers exchange with their audience. Takarada Lory : “When you hear ‘love,’ what do you associate it with? Ironically, Kyoko is probably the person who loves most easily. She adopts the president’s granddaughter as a younger sister, she turns a female rival into her best friend, and she treats her landlords as surrogate parents. However, because she had never experienced a mutual love before (from her mother, Sho, or his family), she fails to understand how many people truly care about her. Her first confession of love is to Kotonami Kanae, her first female friend. For Valentine’s Day, instead of confessing to anyone romantically, she uses chocolates to thank her friends and colleagues. At the same time, she works toward building her confidence, learning to accept and love herself. Since Tsuruga Ren is aware of Kyoko’s “missing emotion,” and he is battling his own demons, he doesn’t act on his feelings either. For this reason, while Skip Beat! embraces all of the romantic tropes, it revolves around none of them. Ren and Kyoko’s love/hate quickly turns into a platonic mentorship. He respects her before he ever falls in love with her, and she believes her feelings for him are mere admiration. Even though Kyoko eventually discovers she is in a seemingly unrequited love, for the majority of the series only Ren’s one-sided feelings are an issue, and he chooses to ignore them. The “first love” in the manga is not Kyoko’s but Ren’s, and the first kiss between Kyoko and Ren is—technically—nonexistent (but you’d have to read Skip Beat! to understand). Still, Nakamura doesn’t bait her readers with romantic development. In fact, readers rarely expect it at all. 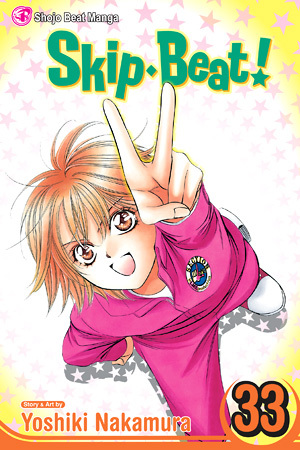 Back stories, side stories, and personal growth arcs are emphasized more, and though it is obvious that Skip Beat! will embrace the romance by its finale, Kyoko’s growth as an actress and her journey toward recovering her basic belief in love is more important.